I don't read premiums, I also don't think it's enough to unlock all episodes. Guess it will be an expired waste. Bonus ink is given out often enough. I'd just find a series you feel interested in and just slowly unlock it over time. gaaaaaahhh I'm trying to write a letter to my son's class about how awesome my son is and I wanna talk about his autism cause the kids may not get it. Edit: It's part of his "first grade star of the week" thing he is doing. I just realized that I ate pork fried rice during the first day of the Year if the Pig. Odin says on behalf if all boars, Happy Lunar New Year. I didn't even know what this "ink" thing was... until I started roaming around the site more. Am I... dumb enough? I've never known what to do with that type of ink that can't be used to tip. I don't read premium. But I should do as you say Rodimus. Where do you live?!? Inside a meat freezer? Saskatchewan. 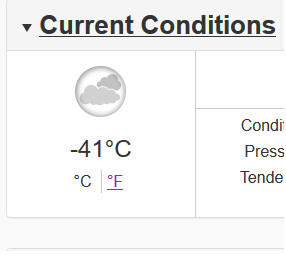 -40' are not super rare, but not every year, and generally in January. By February you think you're safe in sweet & balmy -25C/-13F, and BAM! here it comes. edit: final temperature was -43, setting a huge record, and that's the coldest temperature I ever felt in natural conditions. I was outside shoveling snow, naively thinking that by 9 am it was warming up. Me: I don't like romance as a genre, ew, ew. Awww... They're so cute I want to see more about their love that the canon story left out. The nibs came with the 0.75 for the smallest, so not really good for detailed lines. The one that's more expensive is the ink tho, 14ml Indian ink by Windsor & Newton, but it's long lasting so it's okay. I only find it hard to let the inks flow the way I wanted (I use my saliva here, but same result). Maybe because I'm inexperienced or whatever, but the way it flows kinda disappointing. Over on webtoons we had a fan ask why we weren't more popular. Gave a little cheeky reply (Guess we are just hidden!) and asked them to let their friends know. They were freaking out in their second comment, not thinking we'd respond. We responded again. It really made our day. Which is good cause this was the mondayst Thursday ever. According to tapas instagram, the tapas app on apple App Store iS temporary removed. So whoever downloaded it on apple, don't delete it since you might not be able to reinstall it until it's back. I wonder if it is because App Store family friendly policy (or something). Hah, we had 100% the same situation! hubby is safe he has an android. We are a duel tech household. We will let our son make the choice when he's older. Apple has recently been going through some security auditing with IOS playstore apps. They typically have very strict regulations on use of security API such as accessing contacts, device permissions etc... They are really trying to brand a stronger relationship with user privacy concerns. Mostly this is in direct response to facebook's enterprise usage of metadata.